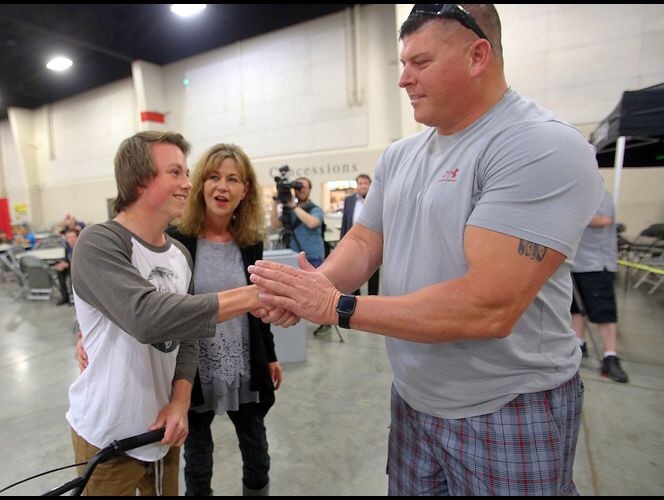 A West Jordan, UT police sergeant was so moved by the story of a young man's beloved BMX bicycle being stolen that he arranged to buy the teenager a new one. 16-year old Anthony Hilton's bicycle was stolen outside of a local store in March. His mother described the bike as her son's "best friend" and said, "He has been devastated since it was stolen." Hilton's mother made a public appeal for the return of her son's bicycle. When West Jordan Police Sergeant Travis Brower heard of the story he decided to take matters into his own hands. He contacted a local BMX dealer and then got a hold of Hilton's mother. When Anthony attended a local BMX demo this past Saturday, Sgt. Brower surprised him with a new bike. Anthony was shocked and moved by the gesture and his mother was equally grateful. "I hope that one day, if Anthony accomplishes his dreams and goals and he’s in that position, he’ll remember Sgt. Brower then," Anthony's mother said. "You can’t lose your compassion and love just because something bad happens."